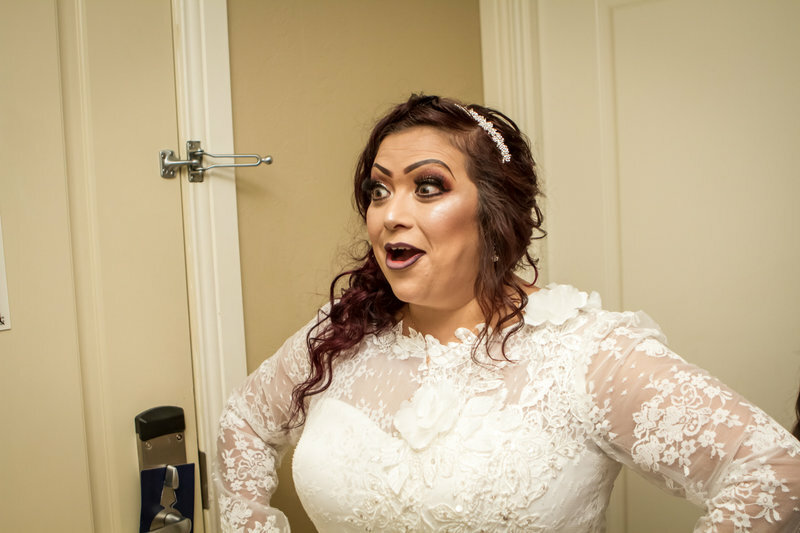 I posted this picture because this was my expression when I first saw myself in my wedding dress! I was very surprised how I looked! These are they type of shots I look for at your wedding! 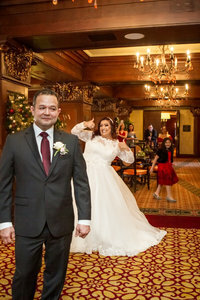 I am a very passionate Wedding and Portrait Photographer. 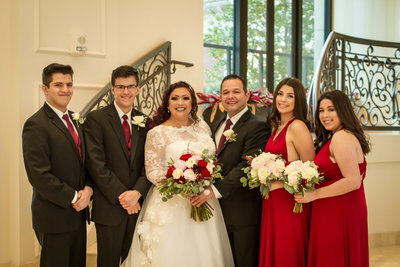 We call Texas and Oklahoma home but we will travel to any destination to capture your special day at no additional cost. We love traveling and always have our passports ready! Our favorite destinations include Cancun, Cozumel, Honduras, Belize, Bahamas, California, Texas, Oklahoma, Las Vegas, Jamaica, Panama and Costa Rica. We try and make your day as chill as possible while having the best time capturing the best images possible. Photography in this part of this world is more like an art and is seriously sought after. A single picture captures several moments. Moments filled with intense emotions; Emotions which words cannot actually or completely explain. Just by staring at a picture, it could take you way down memory lane and a whole event could replay in your mind just the way it happened. The memories are even richer when the event is a wedding. 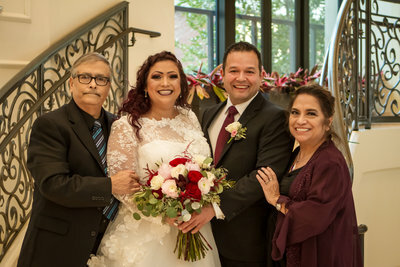 Wedding photography, much like photography is an art on its own that cuts across traditions and cultures, preserving these ‘once in a lifetime’ moments. 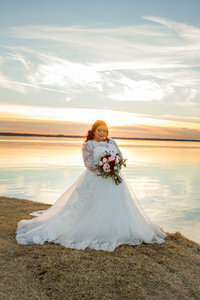 Emily is a wedding photographer who captures weddings all over the US including Texas, Oklahoma, Arkansas, Florida Las Vegas, California and many other states. 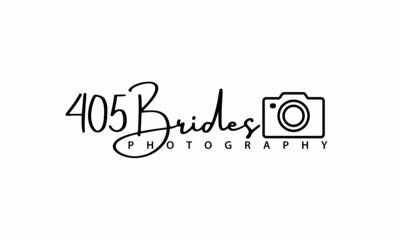 She loves capturing destination weddings and travels many times a year to Mexico specifically Cancun. Weddings are her favorite. # of Countries Visited: 10 and counting! Drink of Choice: A Bottle of Moscato! Years as a Photographer: 18...SAY WHAAAAAAT ! Our kids have left the nest so we decided to travel! I love learning our other cultures and how other countries are different from the US. My husband (wow that's still new to say) loves running marathons. We will travel to various states for him to run his 26.2 miles. Yes, that is right...he runs 26.2 miles for fun! 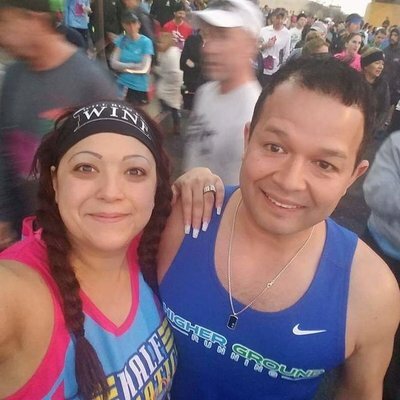 I will tag along and will WALK the half marathon of 13.1 miles. Most people will call him crazy, so I guess that makes me half crazy! Since our kids are in college (5 different colleges in 2 different states, yeah we travel there too!) we decided it was time to explore America and then some! You can find us traveling to Belize, Honduras, Mexico, Greece, Bahamas, Jamaica and all those wonderful countries. So if you are looking for a cool hip photographer, look no further! I will gladly tag along to your love adventure and capture your memories. This was our trip to Jamaica Mon! 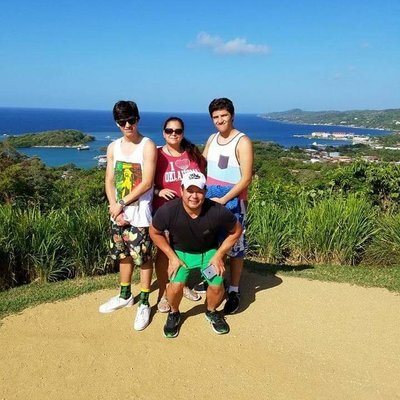 We like our kids to experience life and understand the different cultures. This photo was taken above the mountain in Montego Bay Jamaica. We spent 7 days touring Jamaica and finding hidden photo spots. When I started traveling I realized it would be awesome to capture a wedding in another country. So if you are getting married overseas, drop me a line. 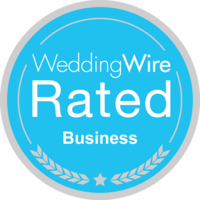 I would love to chat about your destination wedding!